13 Apr 2015 - A Jet Airways 737-800, registration VT-JGA (30410/1228) operating flight 9W-2423 from Varanasi to Khajuraho (VAKJ) with 59 passengers and 8 crew, landed on Khajuraho's runway 19 at 13:16L (07:46Z). After a normal landing, during the roll out the left main gear collapsed, the aircraft came to a stop on the runway about 1200 meters down the runway resting on right main gear, left engine and nose gear. No injuries occured but the aircraft received substantial damage. PROBABLE CAUSE OF THE ACCIDENT: The LH Aft landing Gear trunnion pin failed due to overload following fatigue growth. Crack initiation was in the heat affected area where excessive grinding was done at the time of overhaul. Initial crack growth is charterized by intergranular cracking (assisted by hydrogen embrittlement mechanism) until fatigue took over. The aircraft was returned to service in June 2015. M/s Jet Airways B-737-800 aircraft VT-JGA flight 9W- 2423 (Delhi -Varanasi-Khajuraho –Delhi) was involved in an accident at Khajuraho Airport on 13.4.2015 at 0751 UTC (1321 IST). There were 59 passengers and 08 crew members (02 Cockpit Crew + 05 Cabin Crew +01 AME) on board the aircraft. The aircraft was under command of PIC having ALTP and Co-pilot having CPL. The aircraft got airborne from Varanasi Airport at 0715 UTC and the flight was normal till touch down at RWY 19 on Khajuraho Airport. PIC carried out ILS approach and landing on R/W 19 at Khajuraho Airport and the maximum G load recorded during landing was 1.65 G. During landing Roll, 15 seconds after touchdown, at speed 36 knots, left main landing gear aft trunnion pin broke and aircraft started deviating to the left of center line. The aircraft came to stop on runway with damage to the LH landing gear and resting on LH engine, Nose & RH landing Gear. Hydraulic fluid spillage occurred due to damage to LH main landing gear. Emergency evacuation was carried out on the runway. All four main doors escape slides & four emergency over wing windows were opened. However the passengers used two escape slides (L1 & L2) for evacuation. One cabin crew received minor injuries (bruises) during evacuation. There was no fire. The runway was closed after the accident as aircraft became disabled on the runway. Due to closure of runway one A-320 aircraft VT-ESE of Air India stuck at Khajuraho Airport which had landed before 9W-2423. The Jet airways aircraft was removed from runway on 16-04-2015 and airport opened for normal operation at 1115 UTC on same day. Ministry of Civil Aviation vide order No. AV 15029/107/2015-DG dated June 2015 constituted a committee of inquiry to investigate the accident under Rule 11 (1) of Aircraft (Investigation of Accidents and Incidents), Rules 2012. The committee includes Sh. Amit Gupta Deputy Director- AED, DGCA as Chairman and Capt. Rajiv Yadav, FOI, DGCA & Sh. Manoj Kumar, Sr. AGM, Air India as member. M/s Jet Airways B-737-800 aircraft VT-JGA flight 9W- 2423 (Delhi -Varanasi-Khajuraho –Delhi) was involved in an accident on 13.4.2015 at 0751 UTC (1321 IST) after landing at Khajuraho Airport, when left main landing gear aft trunnion pin broke on runway. There were 59 passengers and 08 crew members (02 Cockpit Crew + 05 Cabin Crew +01 AME) on board the aircraft. The aircraft was under command of PIC having ALTP and Co-pilot having CPL. The aircraft got airborne from Varanasi Airport at 0715 UTC and the flight was normal till touch down at RWY 19 on Khajuraho Airport. PIC was pilot flying & Co-pilot was carrying out duty of Pilot Monitoring. PIC carried out ILS approach and landing on R/W 19 at Khajuraho Airport. Landing gear was extended at 1579ft AFE and as per DFDR it was down and locked. Flap 40 was selected at 1394ft AFE. At touchdown aircraft pitch was 4.39 °, vertical G 1.65 and touchdown speed was 120 kts (Vref  4kts). During landing Roll 15 seconds after touchdown at speed 36 knots left main landing gear aft trunnion pin broke and aircraft started deviating to the left of center line. The aircraft came to stop on runway with damage to the LH landing gear and resting on LH engine, Nose & RH landing Gear. Hydraulic fluid spillage occurred due to damage to LH main landing gear. Emergency evacuation was carried out on the runway. All four main doors escape slides & four emergency over wing windows were opened. However, the passengers used two escape slides (L1 & R1) for evacuation. One cabin crew received minor injuries (bruises) during evacuation. There was no fire and no fire extinguisher was used in the accident. The runway was closed after the accident as aircraft became disabled on the runway. The aircraft VT-JGA completed three sectors on date of accident i.e. Bengaluru- Delhi, Delhi- Varanasi and Varanasi- Khajuraho. As per ATC officer statement the touch down was normal near PAPI on runway. Aircraft slowed down near TWY “C” and was given taxi instructions. At that point pilot told “STANDBY” and asked ATC to confirm landing gear collapsed on left side to which ATC replied observed smoke coming out. Pilot informed ATC regarding to evacuation on runway itself and asked the ATC assistance. CFT and other emergency services were sent to the aircraft. Due to closure of Khajuraho runway, Air India A-320 aircraft VT-ESE (flight No. AI 406, Agra-Khajuraho) which landed at 07:44:50 UTC before 9W-2423 stuck at Khajuraho Airport. The disabled Jet airways aircraft was removed from runway at 1115 UTC on 16-04-2015 and airport opened for normal operation. The aircraft sustained substantial damage. Following main damages occurred to the aircraft. LH main landing gear aft trunnion pin found sheared off. The aft end of the LH MLG has travelled up and (puncturing the composite panels) protruding out and above the aft wing surface (walking beam visible above the wing surface).The damage limited to the composite panels and their non-structural support frames. The support beam is damaged due L/G travel. Hangar link assembly found a drift. Hangar link mount found dislocated. Door attachment bracket and door found damaged. MLG stub beam (structural member) between the aft spar and the MLG support beam lower forward attach lug ripped off. Aircraft resting on the LH engine. Age 32, TT 8290:10 Hrs., Time on 737 4402:40 Hrs. Age 28, TT 3393:14 Hrs., Time on 737 3134:35 Hrs. The CVR readout was analyzed and following are the salient findings. The landing was carried out by PIC and co-pilot was doing the duties of monitoring the instruments. At 1000 feet above, the aircraft was stabilized and winds were calm. Approach and Landing checklist were carried out by the flight crew. ATC cleared aircraft to land on Runway 19. Aircraft landed on Runway at 075114 UTC. At 075128 UTC, with ground speed 36 knots, LH Landing gear collapsed. PIC informed ATC about left main gear collapse. ATC confirmed the crew about left hand side landing gear collapse and informed crew about some smoke coming out at landing Gear area. PIC informed ATC that they are carrying out evacuation on the runway. PIC requested ATC to send all emergency services to the aircraft. The flight crew carried out Evacuation checklist and advised cabin crew to evacuate. 07:48:50 Landing Gear down at Rad. Alt 1751 ft. and Flap 15. 07:49:11 Flap changed to 40 at Rad. Alt 1578 ft.
07:50:06 to 07:50:13 Vertical Speed between -1005 to -1095 ft/sec. 07:51:28 Aircraft Roll changes from 0.88 to -5.27 at Heading 193, Ground Speed 36 Knots. 07:53:16 End of recording. The recordings are: - Heading 192, Flap 40, Brake Press Left- 2169, Brake Press Right- 1881, Brake Position LH 67 , Brake Position RH 59, , Eng 1 (N1 – 20.88 %, N2- 60.88%, TLA 35.16, Fuel Cut off- Run ), Eng 2 (N1 – 21.25 %, N2- 61, TLA 34.8, Fuel Cut off- Run ), Master Caution Warning, Master Warning . There was No indication of Engine Fire Warning during the collapse of Landing Gear. 1.12 Wreckage and impact information. The aircraft touch down at Khajuraho Airport on RWY 19. After touch down the aircraft started deviating to the left of center line and came to halt with damage to the port landing gear and resting on LH engine, Nose & RH Landing Gear. Hydraulic fluid spillage occurred on the runway due to damage to port main landing gear. Following are the distance measured with help of DFDR & Ground marks. Touch down point to aircraft nose halt: 1182 meters. Touch down point to aircraft halt: 1157 meters. Engine rub marks: 116 meters. Tyre Rub marks: 150 meters. Nose wheel position to center line: 8.3 meters to left. The accident was survivable. After landing, PIC announced to cabin crew on PA three time “Evacuate”. The L1, L2, R1 and R2 door slides were deployed for egress, and both right and left over wing window exits were opened. The passengers and crew evacuated the airplane using the L1 and L2 door slides. R1 slide got inflated and detached from aircraft and no evacuation was carried out using R2 slide & over wing exits. The left L1 & L2 slides were used by cabin crew for evacuation even though there was hydraulic leak on LH landing gear & LH Engine touching the runway. As per photographs, passengers were seen holding hand baggage & wearing shoes. However, as per statement one cabin crew received minor injury during evacuation. 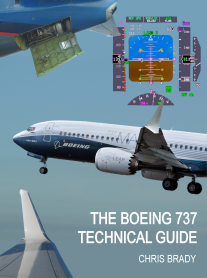 The failed LH aft landing Gear Trunnion pin was tested in DGCA and NTSB, USA. Along with LH, the RH aft landing Gear Trunnion pin was also send to NTSB, USA for examination. DGCA Failure Analysis Lab, DGCA carried out metrological analysis of failed trunnion pin. The lab report reveals that the “the trunnion pin has failed in fatigue originating from black strip which is probably a pre-existed crack”. After the accident, the failure investigation of Trunnion Pin were carried out at DGCA & NTSB, USA. The report reveals that that the “the LH trunnion pin has failed in fatigue originating from black strip which is probably a pre-existed crack”. “Chicken wire” cracking was observed over the entire chrome surface of the pin. The fractured aft trunnion pin contained an intergranular crack on the fracture face measuring 0.018 inch from the outer diameter (OD). Fatigue cracking was observed emanating 0.22 inch from the intergranular crack. Fracture initiation occurred by heat induced cracking which propagated during processing by a hydrogen embrittlement mechanism. Once in service, fatigue cracking initiated off of the existing crack until final fracture by ductile separation. a) Chicken wire cracking was observed on the chrome plating and an MPI revealed the presence of cracking in the base metal. b) The fractured aft trunnion pin contained an intergranular crack on the fracture face measuring 0.018 inch from the outer diameter (OD). Fatigue cracking was observed emanating 0.22 inch from the intergranular crack. c) Fracture initiation occurred by heat induced cracking which propagated during processing by a hydrogen embrittlement mechanism. Once in service, fatigue cracking initiated off of the existing crack until final fracture by ductile separation. d) Nital etching of the forward half of the pin revealed over-tempered martensite resulting from exposure to temperatures at or above the tempering temperature. e) Tensile residual stress in the areas of over-tempered martensite is indicative of thermal damage to the base metal. f) Fracture of the aft trunnion pin was probably the result of excessive grinding of the chrome plate. 1.16.2.2 RH MLG aft Trunnion Pin, S/N: E2338 The Barkhausen inspection conducted at the time of the EQA and BR&T NDI, revealed no indications of burning of the base metal. BR&T metallurgy examination results: a) Etching of the chrome layer on the RH MLG aft trunnion pin was performed in order to examine the surface for cracking. “Chicken wire” cracking was observed over the entire chrome surface of the pin. b) After the chrome etch examination, the pin was completely stripped of chrome and subjected to a nital etch inspection. No nital indications indicative of thermal damage were observed. ILS landing was carried out on R/W 19.At 07:48:50 UTC Landing Gear was lowered at 07:48:50 at Rad. Alt 1751 ft and Flap handle was moved to 40 at 07:49:11. During Landing roll at 07:51:28, with ground speed 36 knots, LH Landing gear collapsed. Aircraft Roll changes from 0.88 to -5.27. (Aircraft Rolled to left as engine touching the ground). At 07:51:29 Engine Reverser 2 and 1 stowed, LH Gear UP Indication. PIC informed ATC about left main gear collapse. ATC confirmed the crew about left hand side landing gear collapse. Also, informed crew about some smoke coming out at landing Gear area. PIC informed ATC that they are carrying out evacuation on the runway and requested ATC to send all emergency services to the aircraft. At 07:53:16, the DFDR recording stopped. However, there was ATC communication between PIC & ATC. 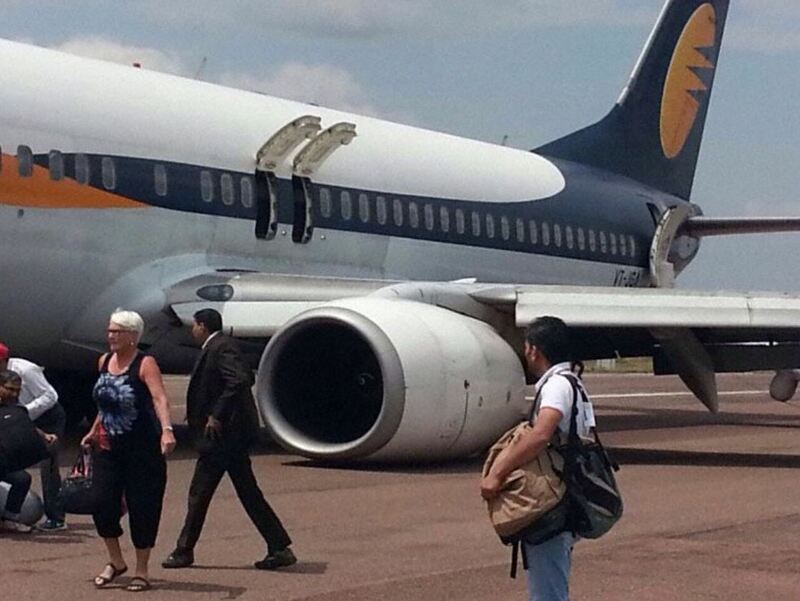 M/s Jet Airways B-737-800 aircraft VT-JGA flight 9W- 2423 (Delhi -Varanasi-Khajuraho – Delhi) was involved in an accident at Khajuraho Airport on 13.4.2015 at 0751 UTC (1321 IST).PIC carried out ILS landing and maximum G load recorded during landing was 1.65 G. During landing Roll, 15 seconds after touchdown, at speed 36 knots left main landing gear aft trunnion pin broke and aircraft started deviating to the left of center line. The aircraft came to stop on runway with damage to the LH landing gear and resting on LH engine, Nose & RH landing Gear. Hydraulic fluid spillage occurred due to damage to LH main landing gear. Emergency evacuation was carried out on the runway. All four main doors escape slides & four emergency over wing windows were opened. However, the passengers used two escape slides (L1 & L2) for evacuation. One cabin crew received minor injuries (bruises) during evacuation. Passengers carried their hand baggage and not removed the shoes during evacuation and there was no instruction from the cockpit crew regarding side for evacuation nor did cabin crew access external conditions before commencing evacuation. After the accident, the failure investigation of Trunnion Pin was carried out at DGCA & NTSB, USA. The report reveals that that the LH trunnion pin has failed in fatigue originating from black strip which is probably a pre-existed crack. Chicken wire cracking was observed over the entire chrome surface of the pin. Fracture initiation occurred by heat induced cracking which propagated during processing by a hydrogen embrittlement mechanism. Once in service, fatigue cracking initiated off of the existing crack until final fracture by ductile separation. a) The Certificate of Airworthiness and the Certificate of Registration of the aircraft was current/valid on the date of accident. b) The certificate of flight release was valid on the day of accident. c) Both the pilots were appropriately qualified to operate the flight. d) Prior to the accident flight the aircraft had operated Bengaluru-Delhi- Varanasi and there was no snag reported on the aircraft. e) The weather at the time of landing at Khajuraho was fine and is not a contributory factor. f) The enroute flight was uneventful and the aircraft landed safely at Khajuraho as per filed flight plan. g) PIC carried out ILS approach and landing on R/W 19 at Khajuraho Airport and the maximum G load recorded during landing was 1.65 G.
i) After 40 second from touchdown, aircraft came to stop on runway with damage to the LH landing gear and resting on LH engine, Nose & RH landing Gear. Hydraulic fluid spillage occurred due to damage to LH main landing gear. j) Emergency evacuation was carried out on the runway. All four main door escape slides & four emergency over wing windows were opened. However, the passengers used two escape slides (L1 & L2) for evacuation. One cabin crew R1 received minor injuries (bruises) during evacuation. k) There was no fire nor any fire extinguishing material used. The runway was closed after the accident as aircraft became disable on the runway. Due to closure of runway one A- 320 aircraft VT-ESE of Air India stuck at Khajuraho Airport which had landed before 9W-2423. 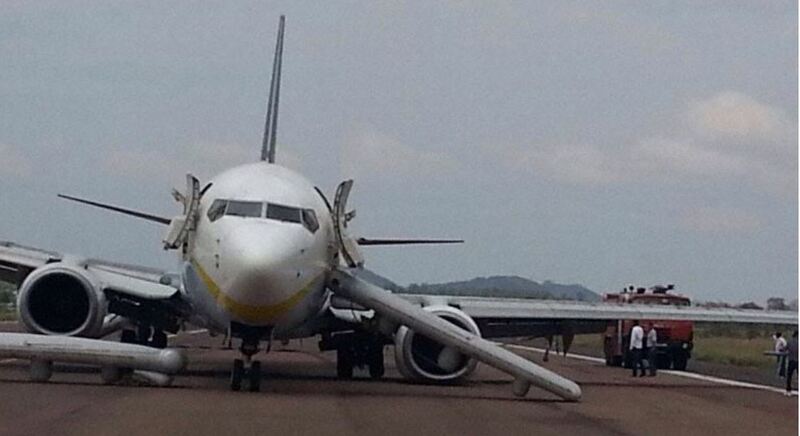 The Jet airways aircraft was removed from runway at 1115 UTC on 16-04- 2015 and airport opened for normal operation. l) The left L1 & L2 slides were used by cabin crew for evacuation even though there was LH Engine touching the runway and smoke at landing gear area as informed by ATC. Also, the LH over wing exit was opened. The cabin crew was not able to handle the passenger effectively as number of passengers sliding downs the escape slides with their cabin baggage’s and shoes. m) Post flight medical Examination of Cockpit Crew & Cabin Crew were not carried out after the accident even though same is mandatory as per Jet Airways Flight Safety Manual. n) The Landing Gear was overhauled along with Trunnion Pin by M/s ST Aerospace Solutions (Europe) A/S, Oslo in March 2012 and installed on VT-JGA in April 2012.
o) M/s ST Aerospace Solutions (Europe) A/S, Oslo was approved by FAA and EASA but not approved under CAR -145 by DGCA, India. p) As per Jet Airways Quality Department Manual Chapter 2 credentials of the proposed vendor was evaluated through a desktop audit of documents supplied. However, the manual doesn’t restrict to Jet Airways to carryout work at DGCA CAR-145 approved organization. 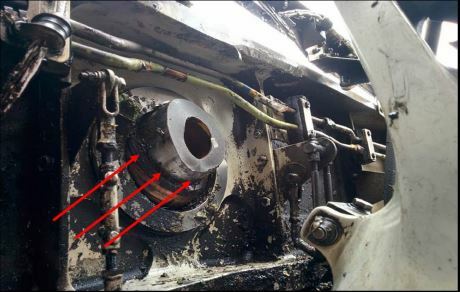 q) After the accident, the failure investigation of Trunnion Pin were carried out at DGCA & NTSB, USA. The report reveals that that the “the LH trunnion pin has failed in fatigue originating from black strip which is probably a pre-existed crack”. “Chicken wire” cracking was observed over the entire chrome surface of the pin. Fracture initiation occurred by heat induced cracking which propagated during processing by a hydrogen embrittlement mechanism. Once in service, fatigue cracking initiated off of the existing crack until final fracture by ductile separation. r) Another Jet Airways Boeing 737-900, registration VT-JGD while performing scheduled domestic passenger flight 9W-354 from Delhi to Mumbai on 03-03-2016 was involved in an accident at Chhatrapati Shivaji International (CSI) Airport, Mumbai when the RH Landing Gear Aft Trunnion Pin Broke during Landing Roll. The Landing Gear was overhauled by M/s ST Aerospace Solutions (Europe) A/S, Oslo in July 2013. The accident is under investigation. The LH Aft landing Gear trunnion pin failed due to overload following fatigue growth. Crack initiation was in the heat affected area where excessive grinding was done at the time of overhaul. Initial crack growth is charterized by intergranular cracking (assisted by hydrogen embrittlement mechanism) until fatigue took over. i. M/s Jet Airways to review its evacuation procedures. i. DGCA may carry out Safety Audit of Maintenance Department of Jet Airways. ii. DGCA may review the CAR M regulations regarding maintenance / overhaul of aircraft and its components thereof at Foreign Organizations not approved by DGCA. iii. DGCA may issue necessary circular to all Scheduled airlines highlighting proper passenger evacuation procedure during such accidents.